One look at this cake and your heart skips a beat. 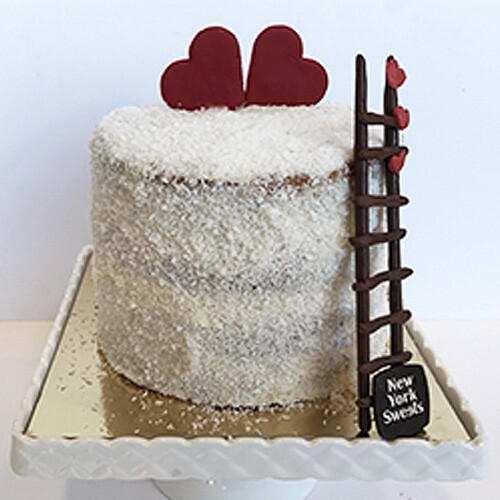 This Delicious Pure Love Cake is beautifully carved into a round cake and topped with red hearts to make it even more special. This will be an amazing surprise for your sweetheart. Bring a smile on the faces of your loved ones with this delicious Rafaello cake: banana sponge cake with banana and coconut cream filling.